Located in the heart of the Snoqualmie Valley, our North Bend office team is ready to service any real estate transaction in North Bend, Snoqualmie, Fall City and throughout the Valley. With local agents who both live and work in the community, they have an intimate knowledge of the area, communities, and home values. We are a company like no other because of the marketing, service and home seller savings we provide. We understand that in today’s real estate & home selling environment, we need to provide a high level of real estate service and wide spread marketing of the home for sale, utilize technology to keep our home seller clients in the communication loop and provide added value to both buyers and home sellers in the real estate transaction. Want more details? Subscribe to our Monthly Market Report. 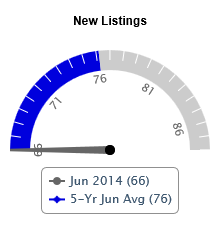 It's all about the current real estate market conditions in North Bend, and it's FREE! Curious about home values in North Bend? Contact us today for a custom comparative market analysis (CMA) to help determine the valuation of your home. Please note, that all references to average DAYS ON MARKET in these charts on this page represent the time a home was listed as "Active" in the MLS, and available for buyers to place offers. My passion in real estate was ignited through my own personal experience upon acquiring and developing a property to build a home for my family. The entire process was both rigorous and challenging; requiring lucrative attention to the details and yet, incredibly rewarding. My background in Banking/Finance, Residential Property Management, and Case Management had equipped me with the much needed experience and relentless hunger for excellence to break ground! Certainly this experience paved the way to a fundamental understanding of why it is all about you, the client! I have a genuine drive to understand my clients on their terms which naturally allows me to apply the most methodical and knowledgeable skills. I am confident in my ability to listen, understand, and be your best solution adviser! I have been involved in real estate for over 30 years, both investing and helping others with their home purchases and sales as a real estate broker. I have lived in North Bend for 22 years, raised 3 boys here and have established myself in the community through volunteer work revolving around education (Curriculum Review Committee for 2 years) and youth baseball (President of Snoqualmie Valley Little League for 4 years, President of Wildcat Baseball Boosters for 4 years). My passions include my family, the game of baseball, working out, hiking, any Caribbean Island, and my dogs. I love helping others through the process of both buying and selling homes, and I thoroughly enjoy making real estate dreams come true for my clients. I specialize in Vacant Land, Residential and New Construction Homes throughout the Snoqualmie Valley with an emphasis in North Bend, Snoqualmie, Preston, and Fall City. Bio: Licensed Real Estate Agent selling full-time since 1989 Operations Manager for Pacific Nautilus, Inc. 1981-1990 Degree: B.S. in Business Administration Portland State University 1980 Resident of Snoqualmie since 1988 Co/Owner Alpine Fitness Gym in North Bend since 1990 Karen Derwin - "Strength You Can Depend On"
I am excited to join the The Cascade Team for the opportunity to provide exceptional service to clients while supporting and giving back to the local community. My background is in the practice of law. I received my Juris Doctorate from the University of Tulsa and practiced law in Oklahoma until I moved to Washington in 2013. I made the beautiful Snoqualmie Valley my home at that time and have loved every minute of it. I live in Snoqualmie Ridge with my husband, two kids, two dogs, and a rabbit. I feel lucky and blessed to live in such an amazing community. I became a real estate agent because I have a passion for helping people realize their real estate goals, whether it be buying or selling their homes. As an attorney, I practiced some real estate law, but it was primarily dealing with big companies. As a broker, I get to work with people on a more personal level, which is what I love to do. I look forward to utilizing my professionalism and devotion to excellence as I guide people through the complex and sometimes frustrating process of buying or selling a home. My mission is to make this process as seamless and worry-free as possible so that my clients will be 100% satisfied. My mission is to provide a quality of service that far exceeds your expectations at a price that can’t be beat. I specialize in the beautiful Snoqualmie Valley area. I have lived in North Bend since 1997, when we were lucky enough to find the perfect house and property on Mt Si. It’s an amazing feeling to live where I used to vacation. Not many destinations that beat the Snoqualmie Valley for hiking trails, lakes, rivers, skiing, fishing and other outdoor activities. No need to decide between a full service agent or a discount agent, now you can have it all. My goal is to create long-term relationships based on integrity and trust in which my clients feel comfortable referring their family, friends and business associates. I pride myself on making your total satisfaction my number one priority. Whether buying or selling, I’d love to assist you. Our interest in becoming Real Estate Brokers began with the buying and selling of many properties of our own. Whether it was for investment, or personal use, we realized there was a need for a higher level of professionalism and work ethic. We have a desire to provide that. It is such an exciting and emotional time when buying a home. Our promise to you is that we will work for you just as if we were buying or selling our own property. After all of our experience being on the side of a buyer and seller, we realize the negotiating skills a Broker must possess to obtain your dream home. Timing is everything especially in a competitive market. Whether listing your home or helping you purchase a home, a Broker must be accessible at all times. If not, you could potentially lose the home you desire, or a buyer for your home. This is why working with a team like us will provide you with an immediate response to your needs. Dedicating our lives to making this happen for you is our passion. We love the process, and your experience with us will not only be enjoyable, but successful. On a personal note, we recently celebrated our 25th Wedding Anniversary. Residing on the Sammamish Plateau for over 22 years and raising our son in the community has been wonderful. Our hobbies have included tennis, golf and surfing. We are well versed with Eastside living. Sammamish, Issaquah, Bellevue, Snoqualmie Ridge and North Bend provide an enjoyable lifestyle whether you are raising a family, a couple just starting out, or single. There are wonderful opportunities for all in these desirable locations. Kathleen has long been interested in architecture, homes, land, people, and different cultures, especially in relation to where and why people live where they do. After working for many years with her builder husband, Robert,(www.robertirishdwellings.com) she decided to get her real estate license, and thus began her long and successful journey in helping others achieve their real estate goals. Kathleen has sold homes and properties in King, Snohomish, and Kittitas County. Her expertise includes listing and selling luxury homes, urban condos, rural acreage, raw land, and single family homes throughout the greater Puget Sound region. Kathleen loves to walk her dog on local trails, gardening, working and creating with her husband, spending time with her family, playing bridge, reading, and the river. "When you love where you live, and find the beauty of the area ever inspiring, it is easy to share that with others." I was born and raised in Washington State and I believe there is no better place to live than the Pacific Northwest. My career has spanned from Sales Management to teaching 4th Graders in the public school setting. I hold a Master's Degree in Education and I feel very passionate about educating students as well as adults. My strong suits are my attention to detail, ability to communicate clearly and effectively as well as making sure that you as my client feel that I am meeting your needs, wants and desires. The exchange of Real Estate whether it is being bought, sold or managed is often an important endeavor, therefore it is important to choose someone you can TRUST. My promise to you is that I will always put your best interests first, and make sure you fully understand all of the details of your real estate transaction. Helping people is truly my passion, and my strong skills in negotiation and problem solving will allow you to relax and enjoy the exciting process of buying and/or selling your home. I live in the Snoqualmie Valley and love all that this area has to offer. My home on the Snoqualmie River, is at my family's core and has given us the opportunity to explore nature, fish, hike and bike on local trails. I would love the opportunity to work with you and I am happy to explore areas outside of the valley as well. Why did you decide to join the Cascade Team? After meeting with a few brokers in the valley and specking to Tonya Eliason I made up my mind that this is where I wanted to work. The fact that she has been here since '97 and the people that know who she is, speak very highly of her and that cemented my decision on working with her and The Cascade Team. I hope to have that same reputation as my career grows. In the mid 90's I began working in construction. I worked for a few different companies that were based here in the valley that started my interest in homes, home building and design. After a few layoffs, company changes, and my youngest daughter on the way, it was time to enter into a career that was more permanent. So went into the Healthcare Field. In 2001 I started as a volunteer at the Snoqualmie Fire department. While I was there I got my EMT certificate, worked for Tri-Med in Kent till I was offered a job in Los Angeles with ProCare as an EMT. From there I went to LAC+USC medical center and began working in the ER. Although it was my favorite place to work I had to cut it short because my oldest daughter was due to have her first baby that year and in the fall my youngest daughter was going to be on the Cascade Select Soccer team. Once I returned I began working at UW Medical Center for a couple years and transferred to the Roosevelt Clinic until I left in October of 2018. My goals are to learn as much as I can in this field so I can help families get into a house of their dreams. Also to have enough work that eventually my family can be a part of this journey. And also to have enough knowledge to where I can start investing, redesigning, and flipping homes preferably here in the valley. Played baseball (not softball) since I was 10 up until a few years ago when adulting took up more of my time.